Live Oak Landing is a new-construction gated community west of West Loop 610 and east of Chatterton. Located less than 10 miles away from the prized Inner Loop area, Live Oak Landing features traditional fenced-in homes and tree-lined streets just minutes away from the best Houston has to offer. Live Oak Landing is a new-construction deed-restricted community near Spring Branch West, along Upland Drive and Chatterton. Live Oak Landing homes are centrally located between the major business and retail districts of Houston. 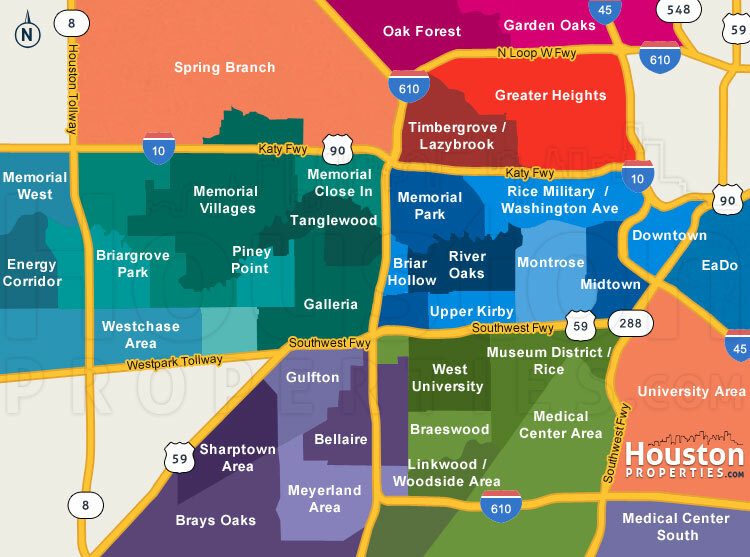 The community has Energy Corridor to its west, Downtown Houston to its east, and Westchase District to its south. Major roads and freeways are easily accessible from Live Oak Landing, with Katy Fwy, Sam Houston Pkwy, and Beltway 8 a few blocks and minutes away from the community. Nearby attractions in Live Oak Landing include the upscale shops, restaurants and neighborhoods of Hedwig Village, Rice Military, and Spring Valley. Outdoor recreation is also in close proximity with Bear Creek Pioneers Park, Cullen Park, and George Bush Park less than 20 minutes away. Live Oak Landing is part of the esteemed Spring Branch Independent School District, home to a number of high-ranking and award-winning schools. The deed-restricted gated community of Live Oak Landing features fully fenced-in homes complete with landscaped backyards, and covered patios and decks perfect for outdoor entertaining. Homes are done in traditional architectural designs with sizes ranging from 1,831 to 2,860 square feet. Live Oak Landing homes for sale are available in 2- and 3-story options with three to four bedrooms. Additional amenities include open living and dining areas, a study room, a family room, and a game room. All homes feature pre-wired alarms and backyard sprinkler systems. Prices for Live Oak Landing homes for sale range from $399,900 to $500,000. I am interested in Live Oak Landing and would like to get more details. Live Oak Landing is a new-construction gated community located west of West Loop 610 and east of Chatterton. Live Oak Landing homes are centrally located between the major business and retail districts of Houston, with Energy Corridor to its west, Downtown Houston to its east, and Westchase District to its south. Major roads and freeways are easily accessible from Live Oak Landing, including Katy Fwy, Sam Houston Pkwy, and Beltway 8 just a few blocks and minutes away from the community. Prices for Live Oak Landing homes for sale range from $399,900 to $493,900.